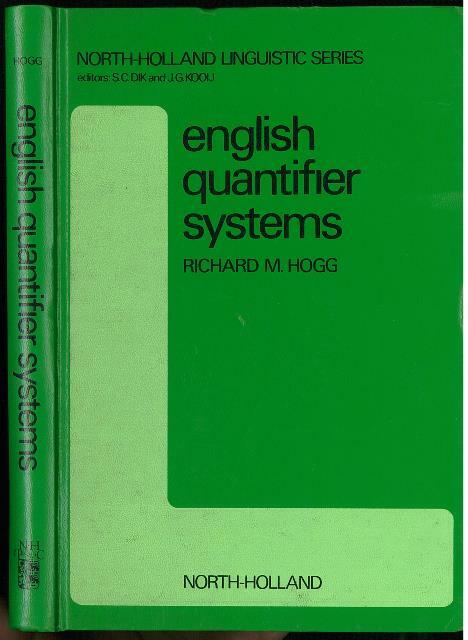 英米文学・言語学・日本学・洋雑誌 小川図書 : English Quantifier Systems. viii，179pp. Green leatherette bound. Front cover stained & sl.scuffing. Front fly leaf sl.sunned. Previous owner´s sign on rear fly leaf. Texts are fine. 22.8x15.5cm. Language Acquisition and Historical Change. 眠れる美女　Les Belles Endormies (Nemureru Bijo).